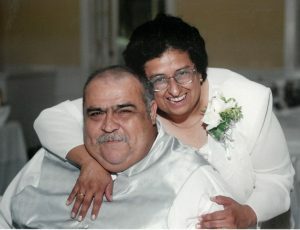 On Thursday, March 21, 2019, , known by his friends as “Pancho,” loving husband, father of three children, and grandfather of four grandchildren, passed away at age 68. Francisco was born on June 14, 1950 in Guadalajara, Jalisco, Mexico to Jose Rosario Campos Carranza and Maria del Rosario Guzmán Barajas. He moved to the United States in the late 1960s and settled in Galveston, TX, where he worked as a longshoreman with the International Longshoreman’s Association (“ILA”) Local 20. He later worked for the City of Galveston as a mechanic until his retirement. On February 19, 1977, he married Juanita Elena (“Helen”) Garcia, and raised two sons, Sergio Campos and Francisco Campos, and one daughter, Melissa Escobedo. Francisco was a loving husband and father who loved sports and spending time with his family. For many years Francisco coached a Little League team sponsored by ILA Local 20 and then later coached a Pony League baseball team sponsored by DuPont. He received awards for his coaching, and was known for his aggressive style and his compassion for his players. He had many friends who loved and appreciated his sense of humor and his love of conversation. In his later years, when he became seriously ill, he appreciated the love and support he received from his friends and family, in particular his son-in-law Matthew and his family friends Manuel and Rebecca Galindo. Francisco was preceded in death by his parents and his brother José Luis. He is survived by his wife Juanita, his three children Sergio of Miami, FL, Francisco (with his wife Denise) of Houston, and Melissa (with her husband Matthew) of Houston, his grandchildren Desmond, Alejandro, Fabiola, and Benjamin, his brother Humberto, and his sisters Yolanda, Evangelina, Rosa, and Berenice, as well as many cousins, nieces, and nephews. A funeral service will be held on Monday, March 25th, 2019 at Crowder Funeral Home, 401 Texas Ave, La Marque, TX 77568 at 6 o’clock p.m, with a rosary service to follow at 7 o’clock p.m.
I’m so sorry for your loss Helen. Copyright © 2014 Crowder Funeral Home. All rights reserved.